(Minghui.org) The persecution of Falun Gong is gaining awareness among middle school students in Slovakia. 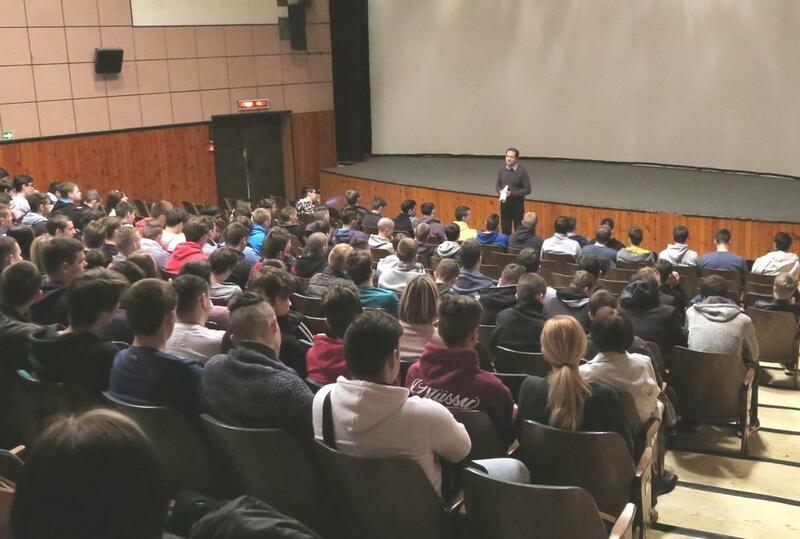 Over 1,200 students recently watched the award-winning film Free China: The Courage To Believe in four Slovakian cities, including Bratislava, the capital of Slovakia, and Kosice, the second largest city. Through the personal accounts of Jennifer Zeng and Dr. Charles Lee, who were brutally persecuted by the Chinese government for practicing Falun Gong, the film documents the conditions in Chinese forced labor camps, the brutality used by the authoritarian state against tens of millions of Falun Gong practitioners, as well as efforts to stop the persecution. The latest film screening took place at the cultural center in Sala on April 14. More than 200 students from a local middle school, Spojena Skola, were present. Before the screening, one of the event organizers introduced the film and the practice of Falun Gong, and the persecution in China. At the end of the screening, many students signed the petition addressed to Slovak officials, asking to help end the persecution of Falun Gong. 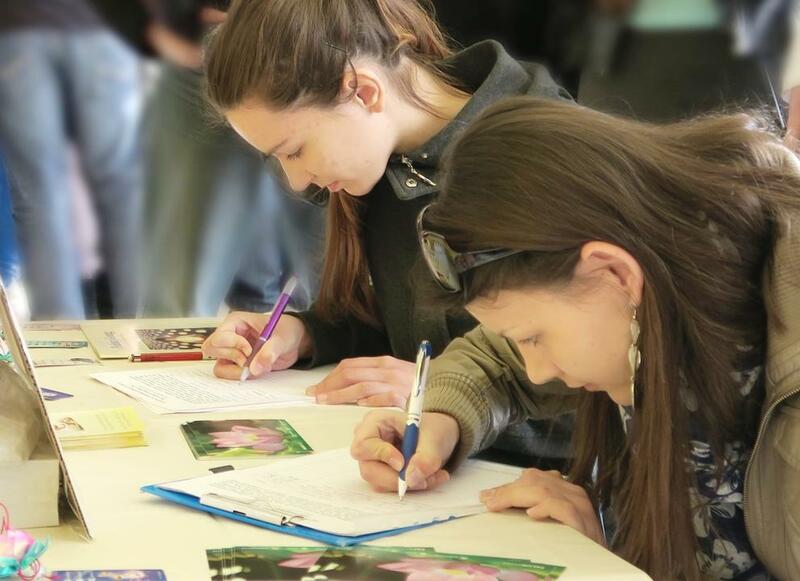 Students sign the petition after the screening, asking their government to help end the persecution of Falun Gong in China. The film Free China: The Courage To Believe was released in May 2013 and has won many awards, including at the American Insight Free Speech Film Festival, the LA Awareness Film Festival (top award in category), and the 45th WorldFest Houston International Film Festival (top award). It is now available in over 20 languages.